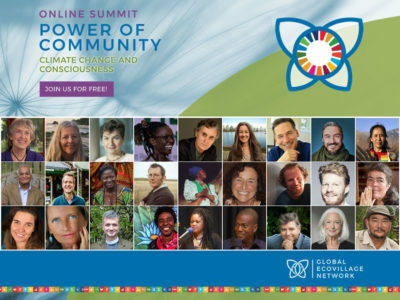 Volunteer Thank you for your interest in supporting the Global Ecovillage Network! Read the information provided below in order to decide which option is best for you, and fill out the form below to share your interest and availability with GEN! In the GEN office in Findhorn, Scotland, we have a small team who work to support the wider GEN networks. Our work consists mostly of network support and project development and so we spend most of our time in the virtual space of the internet. Because of this we are often looking for remotely-based volunteers that have skills or budding interest in areas such as fundraising, IT, communications, administration, editing, design, translation, logistics, and assistance with the running of projects, workshops, and conferences. GEN also offers internships in our office, although this requires a longer-term commitment of minimum 6 months and at this time, GEN does not have the budget to financially support interns. Because of this, most of our interns come through the European Voluntary Service programme. We generally accept 2 interns at a time although this may increase in time. Keep an eye on our Facebook page or subscribe to our newsletter for EVS opportunities. If you are looking to volunteer in your local or another GEN Region, you can fill out the form below, or contact them directly. The GEN regions review the volunteer database intermittently and will contact you if suitable projects materialise. Due to our capacity, we do not have time to reply to every message. However, if you have signed the form and still haven’t heard from GEN or the regions in a while, feel free to contact us again. If you are looking to volunteer in a community, you may find our Ecovillage Project directory useful for exploring and connecting with the diverse communities around the world. Contact GEN Communications to contribute any news and/or articles. The GEN Communication team is specifically looking for design volunteers as well! Please make sure you are logged in to your google account before filling in this form.